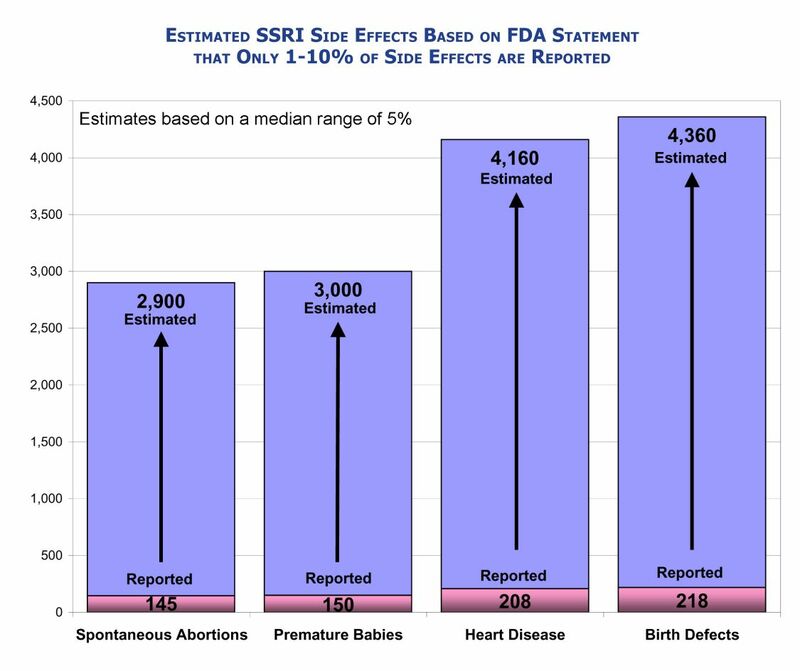 According to data from the FDA MedWatch system, from 2004-2007, an estimated 2,900 babies died via spontaneous abortion because of SSRI antidepressants given to pregnant women. 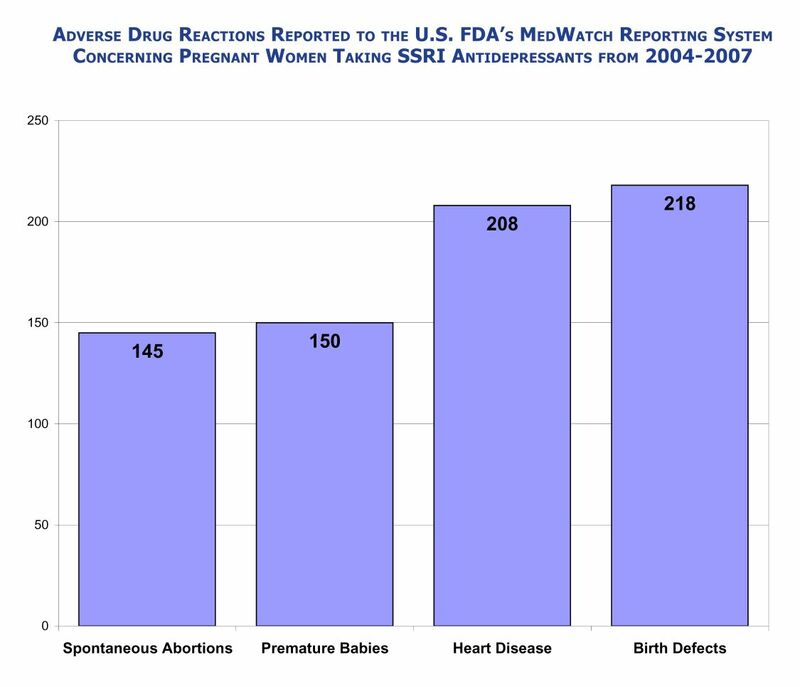 Studies demonstrate that antidepressants double spontaneous abortions and stillbirths and quintuple preterm births. Babies exposed to SSRIs in pregnancy have a six-fold increased risk of persistent pulmonary hypertension (PPHN), a potentially fatal lung problem. Nearly one third of women who take SSRIs during pregnancy have a baby who dies, is premature or underweight, or who has seizures. Just in case you don’t know, spontaneous abortion is the medical term for a miscarriage.